Want to grow your own cherry tomato but don’t know where to begin? Growing cherry tomatoes are one of the easiest plants to grow. Not only that it is easy but it is also quite fulfilling and fun to do. The best part is they tend to bear steady bite-size fruits regardless of the season. The first step in growing cherry tomatoes is – of course – choosing the variety you want to plant. We’ll introduce three varieties. All of which are indeterminate type – they tend to grow as high as 10 feet tall and produce more fruits until the frost kills the plants. A delectable variety that you should try, black cherries have a rich but pretty complex, sweet flavor. This one’s a rarely encountered heirloom tomato that deserves a place in anyone’s dining table. Its color plays around a deep red shade with a blackish hue, hence the name. 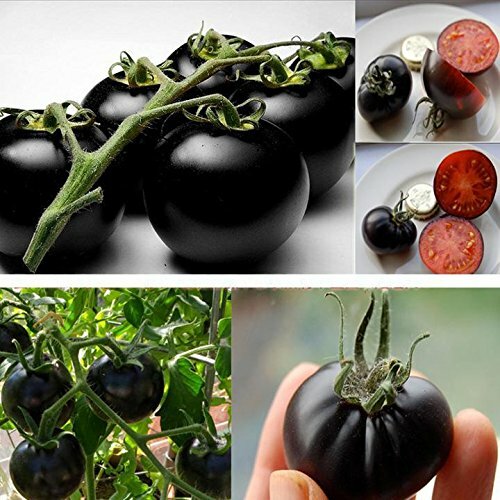 Black cherry tomatoes can yield a perfectly round fruit that’s about an inch in diameter. This one also competes for the sweetest tomato title. Sun sugars are dubbed as the ultimate cherry tomatoes with its tangy true tomato taste and a superb flavor. They are known for their sugary sweetness that’s unlike any variety. 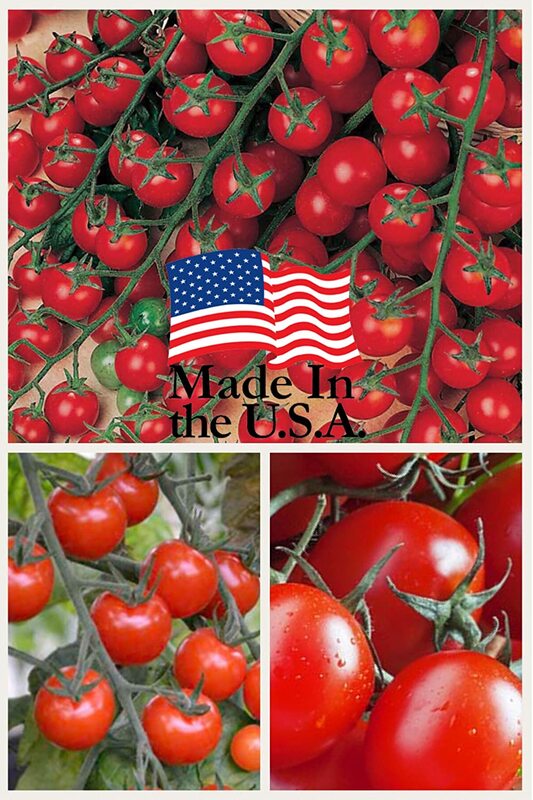 While they appear as soft, vulnerable fruits, sun sugar tomatoes are actually vigorous enough that it can survive cold outdoor climates and unheated greenhouses. Sweet and tender, you can always expect bountiful harvests with this variety. Probably why it’s called sweet million. This one has got a bright red color that usually represents the general tomato plant. Classic sweet tomatoes grow as large clusters of bright and smooth fruit throughout the summer. You can expect beautiful 1 to 1.5-inch globes with this one. Note: As said, being indeterminate means the plants will produce more and grow taller until killed by frost. If you think you can’t handle such varieties, you can always opt for patio or dwarf cherry tomatoes. Now that you’ve chosen the variety you want to plant, it’s time to pay attention to other details. If you already have cherry tomato plants, proceed to step 3 below. Starting from seeds is also easy and it gives you an advantage against frost; meaning you can start growing them while waiting for the warm outdoor condition. Plant the seeds three-times deeper than its size. The average depth is around ¼ of an inch. For fast germination, plant the seeds in a warm indoor environment (around 70 degrees F) approximately seven (7) weeks – more or less – before the last frost date. Make sure your tomato seedlings are given 15 hours of bright light on a daily basis. You should also start fertilizing them as early as being seedlings. After the said seven (7) weeks, you can already transfer them into your garden. If you value aesthetics, as most people do, choose a tomato planter that suits your preference. If you want to recycle, you can grab as many 5-gallon buckets you can find, but don’t expect them to look as good as ready-made planters. Ideal bucket size is 12 inches across by 12 inches tall. Choose a great location. Plant your seeds in an area where the plant can have access to direct sunlight for at least 8 hours. It can be anywhere your open lawn or near your railing or balcony. In cases where you intend to plant them in a balcony or railing, you won’t be needing the tomato cages anymore – the vines will go with the railing. You can skip this step if you’re container already has holes in them. Drill multiple holes at the bottom edge of the pot/bucket/planter. Around ¼ to ½ inches holes are good enough. Make sure you’re able to drill at the center bottom and at the edge to ensure excess water drainage. Skip this step if you don’t want to use a tomato cage. You can only ditch the tomato cage if you are planting in your balcony where the vines can grow on the railings. Otherwise, you will need the cage to support the plant. Make sure that the pointy end of your cage is inserted right into the planter. Fill the planter with potting mix. Start watering the potting mix until everything seems moist. Now pour more potting mix – evenly distributing it throughout until it reaches a half-inch below the planter rim. Also, make sure the soil seems flat and level. Make a small hole right at the center of the planting mix. This is where you’ll put the plant. Now remove your tomato plant from its pot and carefully slide into the hole you dug. Note: do not remove the tomato plant from its original pot if the pot is designed to dissolve. Plant the tomato stem just deep enough that around five leaves are seen when you cover the stem with the potting mix. Make it a routine to make sure the soil is evenly moist at all times. You can water it regularly, say every two to three days to keep the soil moist. If you are living in a hotter region where you experience dry weather most of the year, you might have to water the soil on a daily basis. 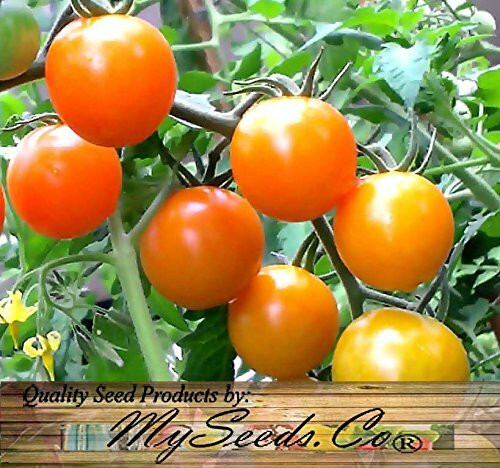 Use the best tomato fertilizer and feed your plant according to its instructions. Observe your growing cherry tomatoes regularly. You can expect some branches poking through the holes in your tomato cage. When that happens, carefully push them back inside. That way, the plant will stay inside the tomato cage and will not droop. It looks more beautiful that way. You will have to wait a full month before your cherry tomato plants start flowering. The flowers will be followed with little green fruits that will soon develop into fully-grown cherry tomatoes in a matter of weeks! Just because they look red, doesn’t mean they are already ripe. Yes they could be, but a truly ripe cherry tomato can be observed when you try to pick them up. It will tend to come off its stem very easily when you pick it. To truly experience the essence of a ripe tomato, it’s worth waiting an extra day before you harvest them. There’s more! We’d like to share as much information as necessary so we all can have a great tomato planting experience. You already know that cherry tomato plants can grow as tall as they can but are highly vulnerable to frost. If you intend to plant your cherry tomato plants on the ground, make sure that the weather is already stable and the frosty season has passed. It’s already stated above and it’s worth mentioning again. Growing cherry tomatoes is better when you plant them on fertilized ground. Another life-hack for growing tomatoes is putting limestone at the bottom of the hole before you slide in the plants. Remember step #6 above? You can put a limestone after you dig the hole. The limestone will prevent what they call as blossom end rot – a type of tomato problem where the bottom part of the fruit looks rotten. It is commonly seen early on in the season or in half grown fruits. Growing cherry tomatoes is both fulfilling and fun to do. It adds another variety to your garden and its fruit has a lot of applications you can enjoy. For instance, tomatoes are important ingredients for a healthy salad. There’s just a whole new world when it comes to tomatoes and it’s up to you to explore it.